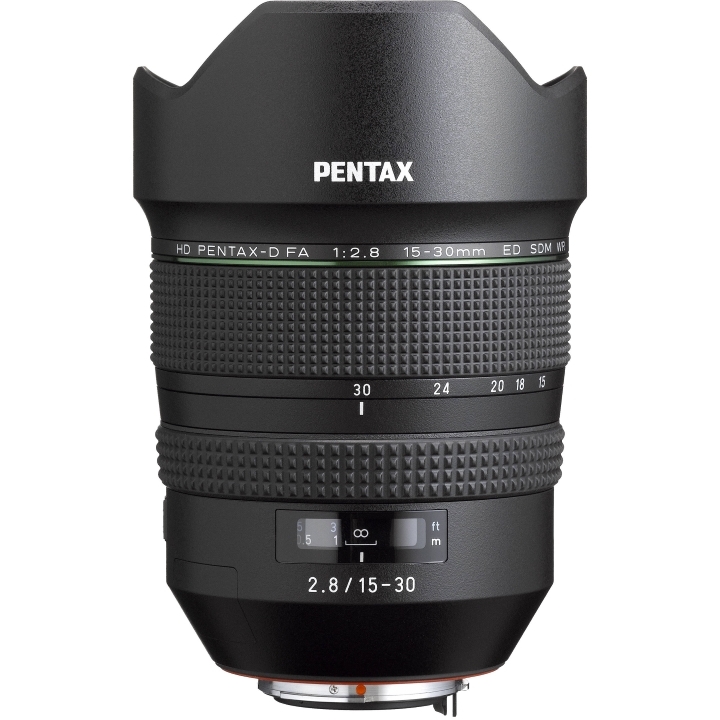 When mounted on the PENTAX K-1 35mm full-frame digital SLR camera body, the Pentax HD D FA 15-30mm f/2.8 ED SDW WR Lens covers a focal-length range from 15mm ultra-wide-angle to 30mm wide-angle. 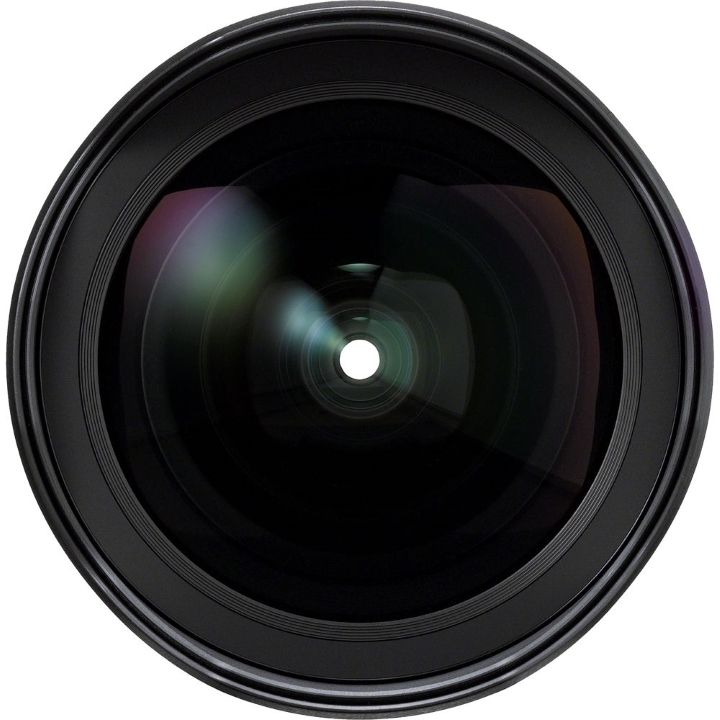 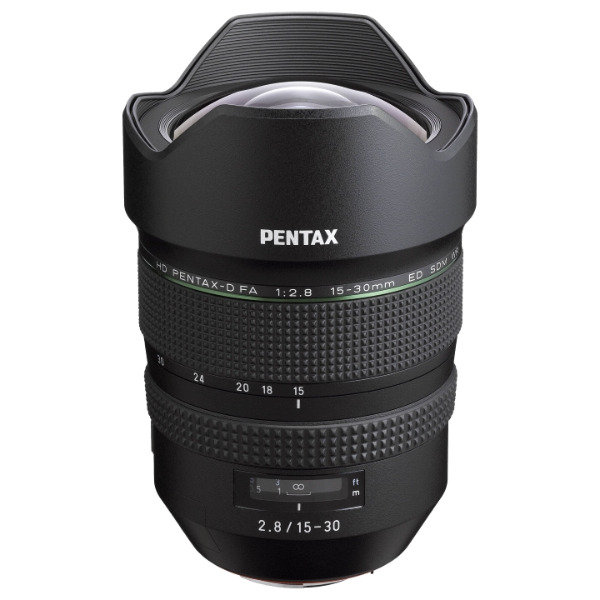 When mounted on a PENTAX APS-C-size digital SLR camera body, this zoom lens covers a focal-length range from 23mm to 46mm. 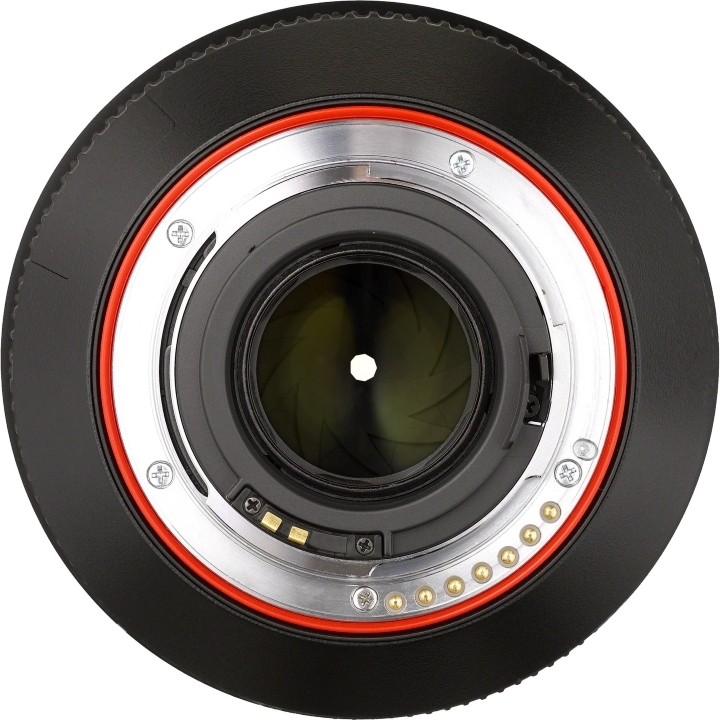 Quick-Shift Focus System for instant switching from autofocus to manual-focus operation, by holding the shutter-release button halfway down and turning the focus ring after the subject is captured in focus by the camera’s AF system. 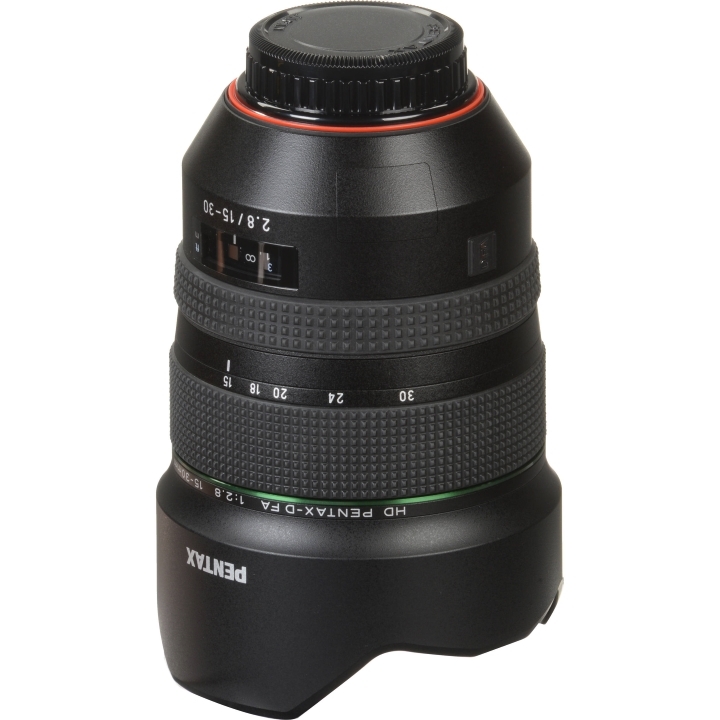 Rounded diaphragm with nine blades to produce a smooth, beautiful bokeh (defocus) effect, while minimizing the streaking effect of point light sources. 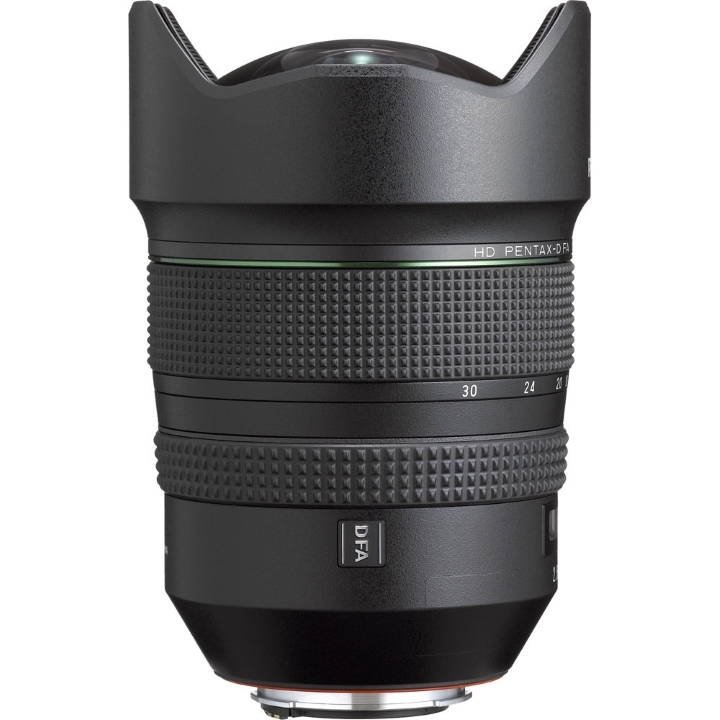 SP (Super Protect) Coating applied to the front surface of the lens to effectively repel water and grease.